With the revival of cinema, it is good to see people be enthusiastic for our local movies exactly as they would be for a Hollywood or a Bollywood release. This is exactly how we felt when we saw the trailer of Sonya Hussyn and Moammer Rana starrer movie Azaadi. Since then we've been eagerly waiting for its release date. Well guys the wait on that is finally over and we couldn't be more thrilled! A Pervez Malik Film and an ARY Films product, Azaadi is all set to release this year in November, and with the poster looking quite sleek, we got in touch with Sonya Hussyn, to ask how proud she is of the movie. "I have invested a lot of myself for Azaadi and it's been a worthwhile journey. Like I have said repeatedly, I am very proud of the message of the film and what it tries to convey. It is a very honest homage to Pakistan and its armed forces but what excites me the most is how inspirational my character is going to be for the young girls". "It was only natural for a film as huge as Azaadi to delay slightly as there are a lot of aspects that come into consideration since a lot of action is involved. Also the post-production needed due attention and I have dubbed for most of the film and it looks amazing. Our cinematographer, Ben (Jasper) is truly gifted." With Sonya quite content and looking forward to Azaadi, we also got in touch with the producer of the movie, Irfan Malik and asked him what took him so long to set a release date, considering the teaser came out back in February. "Normally it takes almost a year to complete a film like this one as the team had to travel to the remotest areas to capture authentic locations, but it surely was worth the effort. I didn't want to give out an official release date and then change it later like many films have done as It takes away from the credibility of the film I feel. So I waited to complete sequences that had 'difficult' written all over them and Alhamdulillah we are on track now with one song and some action sequences remaining to be shot in August/September and post production running parallel." With the final touches being added in full swing, Azaadi has our full attention as it is about a man, played by the legendary actor Nadeem Baig, who has dreamt his entire life for the freedom of Kashmiris. 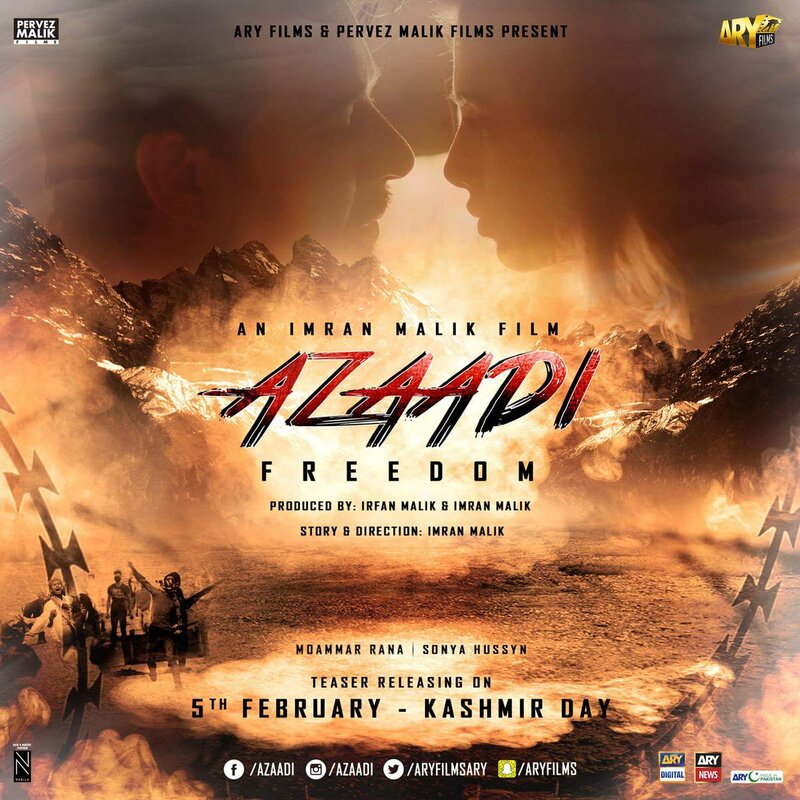 The film is commemorating the struggle for Kashmir. With Moammer Rana bringing with him that cinematic appeal and Bang Bang famed Ben Jasper behind cinematography, we look forward to watching the movie soon. We will also see Javed Sheikh, Maryam Ansari, Ali Fateh, Samama, Waseem, Erum and Ali Bilal to name a few.